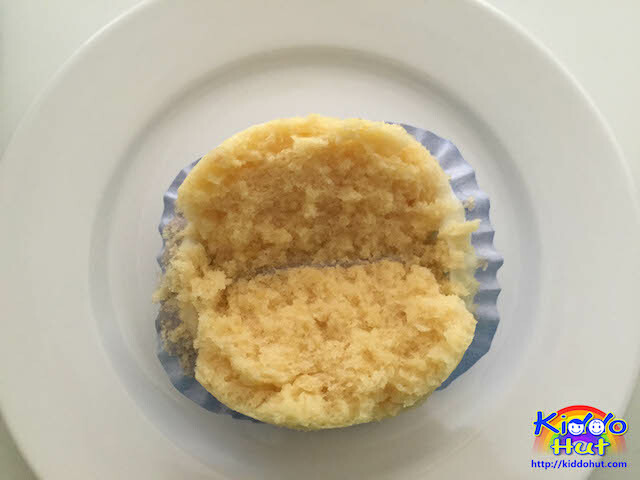 I do not have nicety photos to show on the making of this Steamed Orange Cake / Cupcake (gluten-free) as I was making this cake using the ingredients I could find in my kitchen and have to do it very quickly for my hungry toddlers. Although I used Gluten-free flour, you can just replace it with normal plain flour. I have always wanted to steam an orange flavoured cake, as personally I love citrus. Adding Orange essence isn’t my best choice, and I have tried making one of such cakes using orange juice, which also didn’t have much of an orange aroma. Presumably, I didn’t add enough orange juice. This time, I add in some orange pulps and voila, I got the citrus orange aroma. I am too busy to do orange zest which some recipes called for. 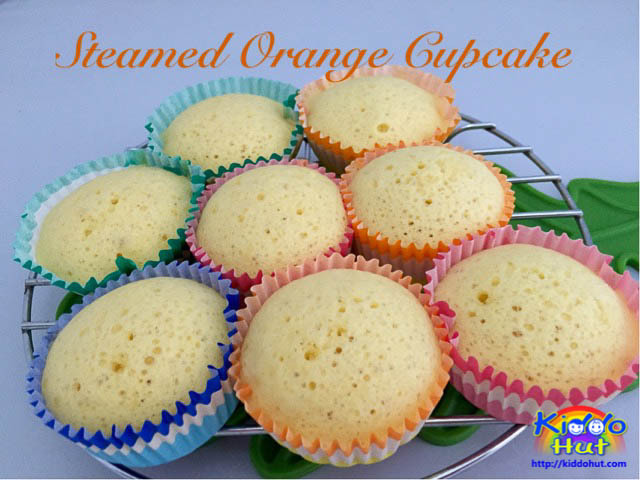 If you are steaming this cake, you could try adding some orange zest to see if it makes any difference to the taste. For me and my family, this version without the zest is good enough. This recipe resembles that of the steamed egg cake but I reduced the number of eggs to avoid the eggy smell and retain enough for leavening effect. I have used freshly squeezed orange juice together with its pulps as the main ingredients. In my recipe, I used gluten-free self-raising flour, which can be replaced with normal self-raising flour. This cake is moist, soft and fluffy and after a night in the fridge, it is still moist, soft and fluffy after re-heat. 1. Do not leave the batter out for too long, i.e. once the batter is done, it is best to be spooned into the muffin cups immediately and steam. 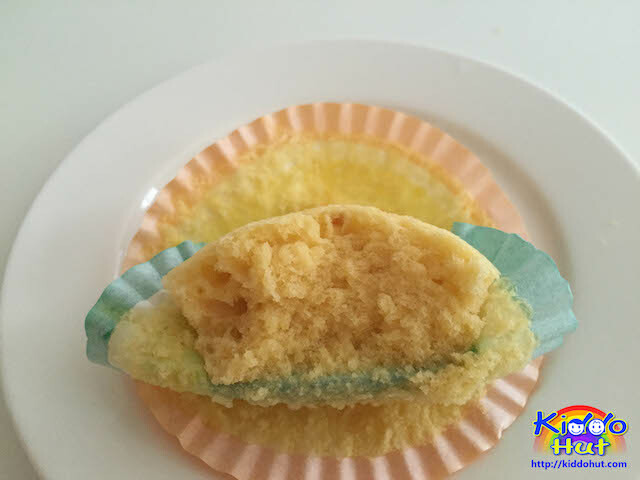 If you wish to remove the bubbles on top of the cake, hit the cake tin / moulds few times on the table top to break the bubbles. Personally, I am not bothered by the appearance but the texture. 2. Prepare the steamer. Add some pandan leaves in the water for steaming for some fragrance. This is optional. Line the aluminium tin with some parchment paper or cupcake moulds with liners. 4. Quickly fold in a small portion of the sifted flour, followed by the melted butter/olive oil then fold in another small portion of the sifted flour. Followed by a portion of the orange juice, then fold in another portion of the sifted flour. Continue this process until all flour and orange juice are folded in. Start and end with flour. 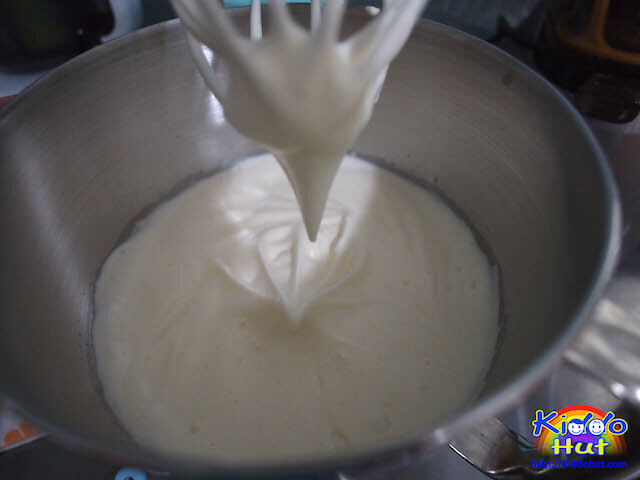 Do not pour all the flour at one go, else it may not be well folded. This process should be done as quickly and gently as possible. After folding in everything, you will see some bubbles forming. 5. Pour the batter into the tin / moulds. Knock the tin/moulds few times on the table top to burst the bubbles on top. Put into the steamer and steam for 20-25 minutes. Test with toothpick, if the toothpick comes out clean, it is cooked. 6. Open the steamer cover and let it cool. Serve.